We at LCA Automation AG actively participate in shaping the technological future. The key to reaching our ambitious business targets are our excellently trained and highly motivated employees. Due to our successful growth and the highly demanding technical tasks we are always seeking well trained experts to reinforce our team. We do stand in close contact with colleges and universities and we are always pleased to evaluate students’ inquiries for an internship or a cooperation to conclude their BA, MA, or Ph.D. degree. Our future co-workers must master the german language or be willing to learn german. Therefore our job descriptions are posted in German only. Our apprentices are a vital part of our team. Our Swiss quality apprenticeship aims to boost them to a promising career. In order to evaluate a willing candidate if he or she fits into our team, we spend two to five days with the potential apprentice. 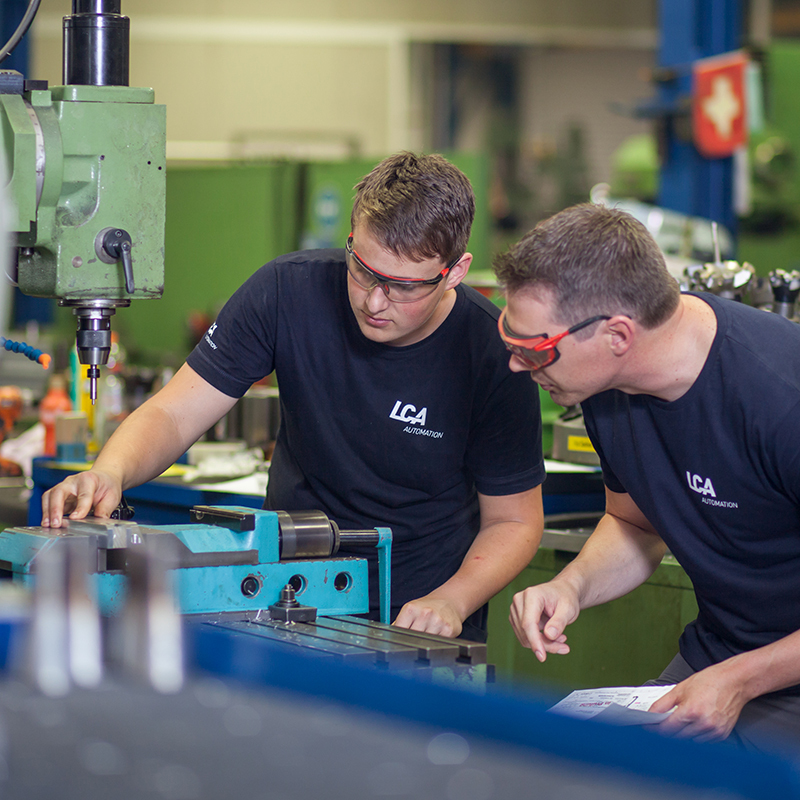 At our Küssnacht am Rigi location, ten per cent of our employees are apprentices. We offer five different apprenticeships: Automation technician, mechanical (CAD) designer, polymechanic, computer technician, and office assistant. Apprenticeships currently only for German speaking.